A treasure trove of historical fiction starters. | Wendy J. Dunn, Award-Winning Author. Some materials for inspiration. Pick one or all of them to use. The death of Elizabeth of York. Richmond Palace was largely a building of brick and white stone in the latest styles of the times, with geometric octagonal towers, pepper-pot chimney caps, and ornate weathervanes made of brass. Though it retained the layout of Sheen Palace (destroyed in a fire in 1497), new additions that would mark the Renaissance were to be found in this palace, for example, long galleries to display sculpture and portraiture. The windows were panelled, built to bring in more light than the tiny slit-like windows of a castle, built for defence. From its earliest it had inner courtyards designed for leisure, with several portions built for the royal family overlooking a large green. 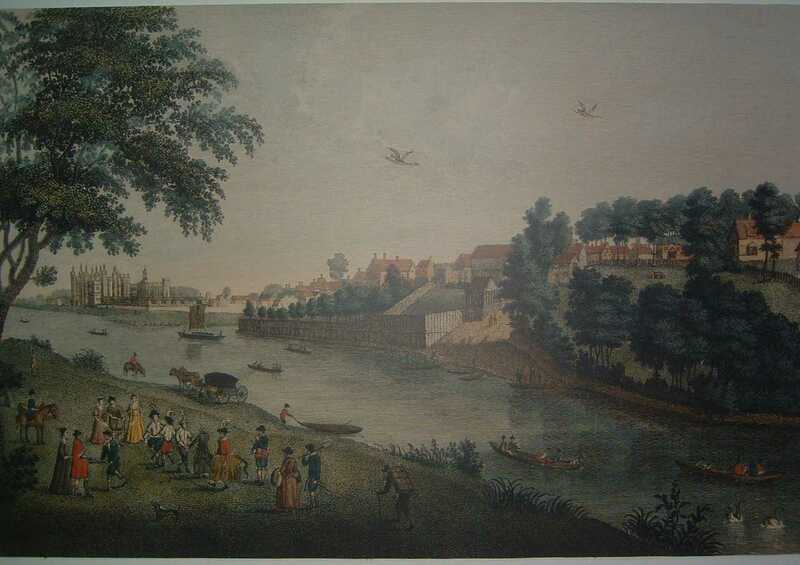 Richmond Palace covered ten acres of land and was large and well appointed enough to have its own orchards and walled gardens. It is known that Henry Tudor decorated his home with many gifts he accepted from Italian bankers in Venice, and the evidence for this and the other accoutrements survives in a 17th-century inventory taken of the palace that is now located in the British National Archives. The inventory also describes new tapestries he commissioned to replace the ones lost in the fire. A section from THE LIFE OF CARDINAL WOLSEY. Thus in great honour, triumph, and glory, he reigned a long season, ruling all things within this realm, appertaining unto the king, by his wisdom, and also all other weighty matters of foreign regions, with which the king of this realm had any occasion to intermeddle. All ambassadors of foreign potentates were always dispatched by his discretion, to whom they had always access for their dispatch. His house was also always resorted and furnished with noblemen, gentlemen, and other persons, with going and coming in and out, feasting and banqueting all ambassadors diverse times, and other strangers right nobly. And when it pleased the king’s majesty, for his recreation, to repair unto the cardinal’s house, as he did divers times in the year, at which time there wanted no preparations, or goodly furniture, with viands of the finest sort that might be provided for money or friendship. Such pleasures were then devised for the king’s comfort and consolation, as might be invented, or by man’s wit imagined. The banquets were set forth, with masks and mummeries, in so gorgeous a sort, and costly manner, that it was a heaven to behold. There wanted no dames, or damsels, meet or apt to dance with the maskers, or to garnish the place for the time, with other goodly disports. Then was there all kind of music and harmony set forth, with excellent voices both of men and children. I have seen the king suddenly come in thither in a mask, with a dozen of other maskers, all in garments like shepherds, made of fine cloth of gold and fine crimson satin paned, and caps of the same, with visors of good proportion of visnomy; their hairs, and beards, either of fine gold wire, or else of silver, and some being of black silk; having sixteen torch bearers, besides their drums, and other persons attending upon them, with visors, and clothed all in satin, of the same colours. And at his coming, and before he came into the hall, ye shall understand, that he came by water to the water gate, without any noise; where, against his coming, were laid charged many chambers, and at his landing they were all shot off, which made such a rumble in the air, that it was like thunder. It made all the noblemen, ladies, and gentlewomen, to muse what it should mean coming so suddenly, they sitting quietly at a solemn banquet; under this sort: First, ye shall perceive that the tables were set in the chamber of presence, banquet-wise covered, my Lord Cardinal sitting under the cloth of estate, and there having his service all alone; and then was there set a lady and a nobleman, or a gentleman and gentlewoman, throughout all the tables in the chamber on the one side, which were made and joined as it were but one table. All which order and device was done and devised by the Lord Sands, Lord Chamberlain to the king; and also by Sir Henry Guilford, Comptroller to the king. Then immediately after this great shot of guns, the cardinal desired the Lord Chamberlain, and Comptroller, to look what this sudden shot should mean, as though he knew nothing of the matter. They thereupon looking out of the windows into Thames, returned again, and showed him, that it seemed to them there should be some noblemen and strangers arrived at his bridge, as ambassadors from some foreign prince. With that, quoth the cardinal, “I shall desire you, because ye can speak French, to take the pains to go down into the hall to encounter and to receive them, according to their estates, and to conduct them into this chamber, where they shall see us, and all these noble personages sitting merrily at our banquet, desiring them to sit down with us, and to take part of our fare and pastime. Then [they] went incontinent down into the hall, where they received them with twenty new torches, and conveyed them up into the chamber, with such a number of drums and fifes as I have seldom seen together, at one time in any masque. At their arrival into the chamber, two and two together, they went directly before the cardinal where he sat, saluting him very reverently; towhom the Lord Chamberlain for them said: “Sir, for as much as they be strangers, and can speak no English, they have desired me to declare unto your Grace thus: they, having understanding of this your triumphant banquet, where was assembled such a number of excellent fair dames, could do no less, under the supportation of your good grace, but to repair hither to view as well their incomparable beauty, as for to accompany them at mumchance, and then after to dance with them, and so to have of them acquaintance. And, sir, they furthermore require of your Grace licence to accomplish the cause of their repair.” To whom the cardinal answered, that he was very well contented they should so do. Then the maskers went first and saluted all the dames as they sat, and then returned to the most worthiest, and there opened a cup full of gold, with crowns, and other pieces of coin, to whom they set divers pieces to cast at. Thus in this manner perusing all the ladies and gentlewomen, and to some they lost, and of some they won. And thus done, they returned unto the cardinal, with great reverence, pouring down all the crowns in the cup, which was about two hundred crowns. “At all,” quoth the cardinal, and so cast the dice, and won them all at a cast; whereat was great joy made. Then quoth the cardinal to my Lord Chamberlain, “I pray you,” quoth he, “show them that it seemeth me that there should be among them some noble man, whom I suppose to be much more worthy of honour to sit and occupy this room and place than I; to whom I would most gladly, if I knew him, surrender my place according to my duty.” Then spake my Lord Chamberlain unto them in French, declaring my Lord Cardinal’s mind, and they rounding him again in the ear, my Lord Chamberlain said to my Lord Cardinal, “Sir, they confess,” quoth he, “that among them there is such a noble personage, whom, if your Grace can appoint him from the other, he is contented to disclose himself, and to accept your place most worthily.” With that the cardinal, taking a good advisement among them, at the last, quoth he, “Me seemeth the gentleman with the black beard should be even he.” And with that he arose out of his chair, and offered the same to the gentleman in the black beard, with his cap in his hand. The person to whom he offered then his chair was Sir Edward Neville, a comely knight of a goodly personage, that much more resembled the king’s person in that mask, than any other. The king, hearing and perceiving the cardinal so deceived in his estimation and choice, could not forbear laughing; but plucked down his visor, and Master Neville’s also, and dashed out with such a pleasant countenance and cheer, that all noble estates there assembled, seeing the king to be there amongst them, rejoiced very much. The cardinal eftsoons desired his highness to take the place of estate, to whom the king answered, that he would go first and shift his apparel; and so departed, and went straight into my lord’s bedchamber, where was a great fire made and prepared for him; and there new apparelled him with rich and princely garments. And in the time of the king’s absence, the dishes of the banquet were clean taken up, and the tables spread again with new and sweet perfumed cloths; every man sitting still until the king and his maskers came in among them again, every man being newly apparelled. Then the king took his seat under the cloth of estate, commanding no man to remove, but sit still, as they did before. Then in came a new banquet before the king’s majesty, and to all the rest through the tables, wherein, I suppose, were served two hundred dishes or above, of wondrous costly meats and devices, subtilly devised. Thus passed they forth the whole night with banqueting, dancing, and other triumphant devices, to the great comfort of the king, and pleasant regard of the nobility there assembled. which I fear me shall be, without the help of you. may hear good news from you. Letter from Charles Brandon, Duke of Suffolk, on his marriage to Mary Tudor, sister of Henry VIII. Paul Delaroche showing Cardinal Beaufort interrogating Joan of Arc in prison.